Please enquire about our private rooms and personalised menus available for groups larger than 12. 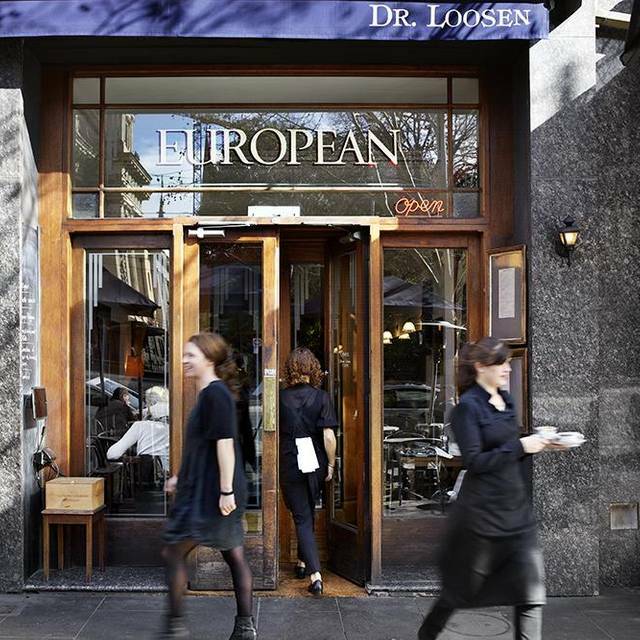 The European takes the best from Old World Europe and serves them using produce from Australia and Europe. It is open 7 days a week for breakfast, lunch and dinner. A set menu is available along with the more traditional menus. The warm wooden tones of the interior set the mood for an old world meal. Come with a partner or a group of friends for dinner and enjoy selections such as the freshly shucked oysters in a red wine shallot vinegar or the Yasa caviar selection. Dine on suckling pig served with black pudding and apple or the rabbit cassoulet. 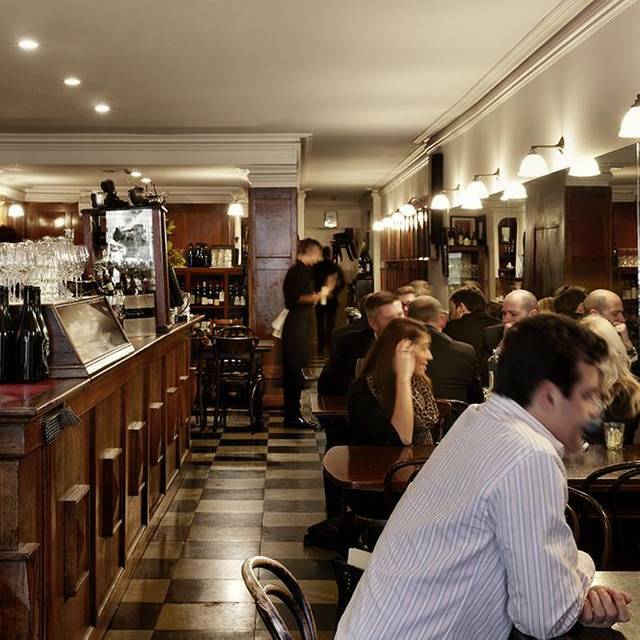 The European boasts a versatile wine list that focuses on European wines that span the continent from Italy to Spain. All bottles listed on the menu are also available for sale to take home with you. The European has several venues that it offers for private events and parties. Our award winning menu designed by our executive Chef Ian Curley, accommodates serious boardroom dinners, as well as beautiful long family lunches. An extensive wine list and welcoming, savvy staff make hosting an event with us effortless. The only disappointment was a very intoxicated patron approached my table and had a very inappropriate conversation with my guest and I and the staff didn’t approach to check if we were ok. The intoxicated patron was mostly harmless but her friends had to come to the rescue but then they all stayed and it wasn’t really the sort of thing one would expect at such a venue ...local pub maybe. I’ll come back again! Always a fantastic meal experience. Food is high quality and cooked perfectly. Wine list is mostly European so tended to nudge up the overall cost. Service is outstanding. Mean amounts of wine when glasses were filled. Chateau Briand which we ordered rare was not eye filet and quite tough. Toilets ought to be cleaner. The European does the best eggs Benedict on the planet. I have breakfast here every time I stay in the city. If your going for dinner try the mushroom risotto followed up by an amazing Chauteubriand for two. We booked a table for 2 for lunch on Saturday 6 April 2019 before going to see a show at the theatre, My mother only wanted something light for lunch so ordered the pancakes and I ordered Eggs Bendedict with smoked salmon. When the meals arrived my mother had 3 tiny pikelet sized pancakes on her plate which were sliding around like biscuits, I flipped one over and it was burnt to a crisp, all three were burnt on the bottom and completely inedible, we told the waitress about this and that we weren't happy she walked off and said that she would advise the cook but that was it, no offer of a refund or replacement, my eggs benedict was edible but lukewarm on arrival, not happy at all and would definitely not recommend this place to anyone. Wonderful service, great food and wine. Here are extra words. Love the space, love the diversity of the menu. Food was good. Service great, wine recommendations spot on - will return. Delicious food and attentive waitstaff despite it being a busy night. Will happily return next time we are in Melbourne. It was great experience to have a meal in a restaurant that wasn't super noisy and wast trying to impress with flavor combinations. We had an excellent meal that used the best ingredients and the skills of the team in the kitchen. Very friendly and knowledgeable staff. Wine was great and food was excellent. Sommelier was friendly and made us feels special. Have no hesitation in recommending the restaurant and will definitely be going back. Outstanding and professional service. Food was delicious and seasonal. A little noisy but a fabulous ambiance. Highly recommend. 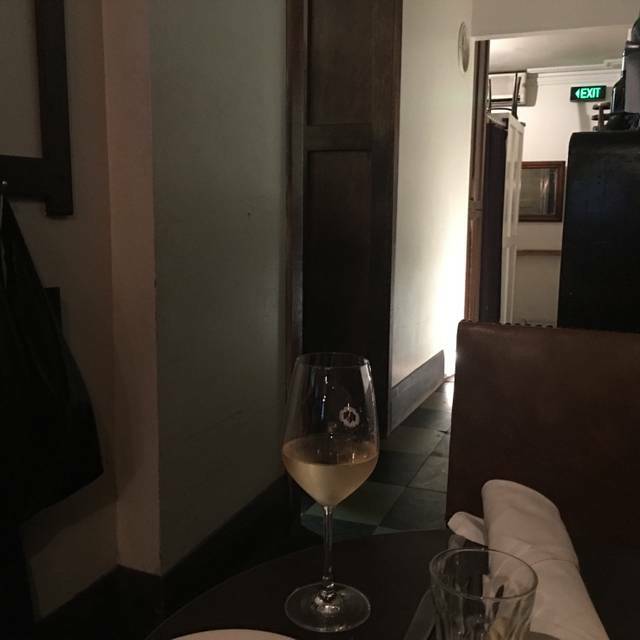 As always, impeccable food,wine and service.A great Melbourne experience! Apart from the background noise, we always enjoy going to the European. 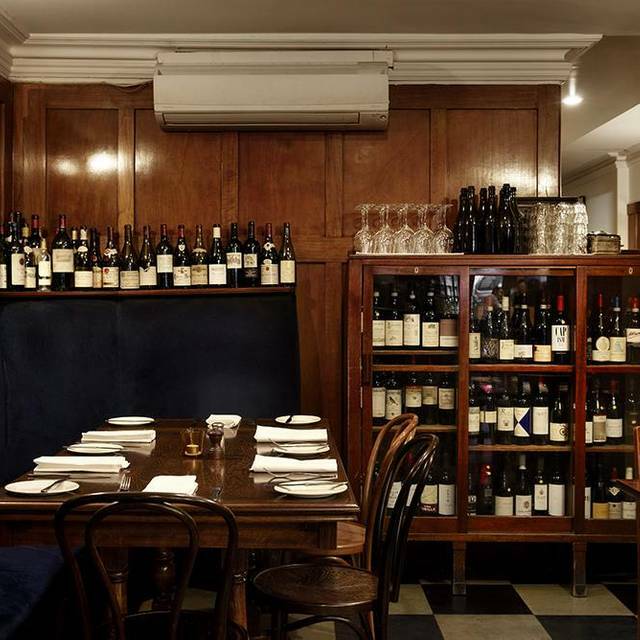 The staff are always attentive, food excellent, and love returning there when in Melbourne. We took interstate friends there for an early dinner between the Harry Potter play parts 1 &2 and we really enjoyed it. Towards the end of our sitting however, a group of very very loud people were near us which caused us to flee. The hard surfaces really don't help with alcohol fueled screeching. It is a good place to eat though. I have been dining at the European for many years, and I always find that I come back because of the quality of food, presentation and flovour combined with well trained staff who are both professional and courteous. Saturday last, this experience was the same. The reliability of menu, staff and ambience is outstanding. They catered for our specific dietary and disability needs perfectly. the staff were helpful, knowledgeable and professional but easy going. A little on the expensive side which is easily offset by the quality of the experience. Noisy as usual for this restaurant, but excellent food and a very well informed Sommelier. I visited the European when I first came to Melbourne 6 years ago, so on my return visit I had to go back. The service is always top notch, the venue is comforting and lush. All of our meals were amazing bar one (steak tartare had so many capers in it is was just the flavour of them and the saltiness - however we were not charged for this dish in the end) The pasta, pork and steaks were to die for and the wine selection was amazing. I will always go back here everytime I'm in Melbourne. The quality was just as good 6 years on so that speaks volumes. Thank you for a wonderful meal. The service was friendly and delightful. Food is delicious and generous. The restaurant is welcoming and extremely comfortable. Wine list has a wonderful range. Fantastic place for food and wine. A sure winner. The European has alway been on my go back list. The wait staff knows their wine. Always a fantastic experience at The European. Terrific food, even better service. The wait staff and the sommelier were courteous, friendly and knowledgeable. 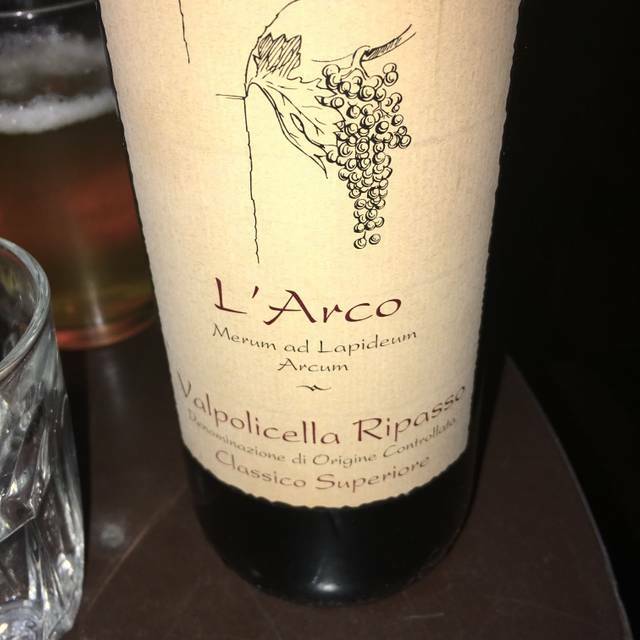 The somm nailed a couple of wine choices that really topped it off. A great business breakfast. Food, coffee and service all terrific. Had the zucchini flower and Spanish sausage to start. Was really good. For mains we had the porterhouse and porkchops. The porterhouse was ok. Nothing special, a little bland, same with the pork chop. The pork belly was very good. The mash and pear salad were also very good. 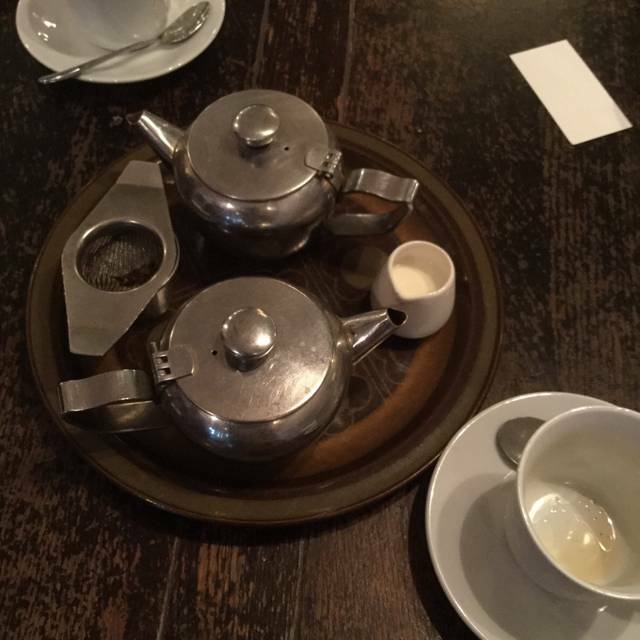 The atmosphere reminds me of Europe, the food is always delicious and the staff very friendly and knowledgeable. Whenever we are in Melbourne, we try to go there. Super enjoyable evening. Superb food and fun staff. Nice environment. Bathrooms need updating and room itself but dated but food and service top class. Food was delicious and service was fast and friendly. I would definitely go back again. It was great all round. One of the best places in Melbourne if you are after a late night place to relax and eat. Staff are incredible.